Links from the August SCARS Meeting . . .
ARRL Letter – 8/20/15 . . .
Hawai’i QSO Party WAS This Week . . .
Ham Nation at Huntsville . . .
How to Become A VE . . .
D-Star Stuff . . .
Read it all here -> ARRL Letter. Jerry Turner (Noble, OK) AG5OK, enjoyed a CW contact with USS Battleship Missouri, KH6BB, early Saturday afternoon during the Hawaii QSO party this weekend. The ship is anchored a few yards from the Arizona Memorial in Pearl Harbor. Operator on the battleship was Bill Kendall, KH6OO, an old HAM friend of mine, who will be participating in a DX expedition this October to Christmas Island. Hopefully others of you had the opportunity! Most all of the Ham Nation folks attended the Huntsville Hamfest last weekend. As always, lots of good stuff here! 10ghz contesting with Gordon West, Don returns from Huntsville Hamfest, Kit-Building with CQ Magazine’s Joe Eisenberg, and more! 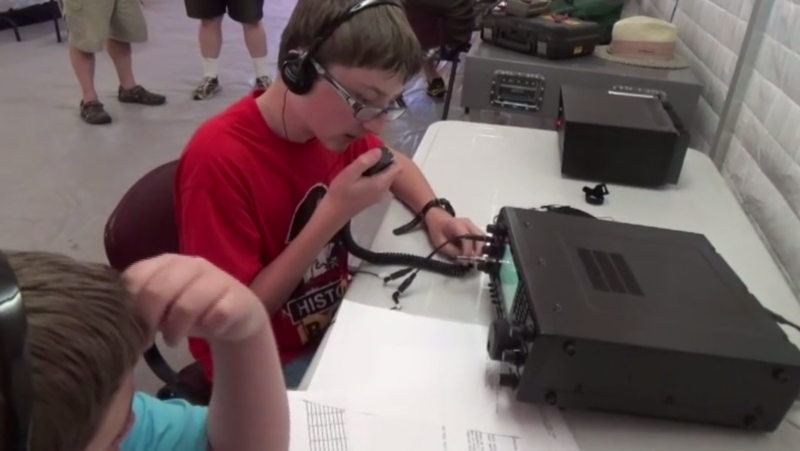 Watch it all here -> Ham Nation 210: Huntsville Hamfest DIY – YouTube. If you are interested in becoming an ARRL Volunteer Examiner (VE) and serving the Amateur Radio community, it’s easy and free! 1. Review the Volunteer Examiner Manual, paying special attention to Chapter 2: Becoming a Volunteer Examiner. 2. Complete and sign the VE Application form and open-book review * (40 question review). Once accredited, you will receive in the mail a colorful, laminated VE badge, and badge clip to wear at exam sessions and a certificate suitable for framing. Please allow 3-4 weeks for the ARRL VE badge and certificate to arrive. Live links and Audio here: AR Newsline – News – Amateur Radio Newsline Report 1973 August 21, 2015.